So I’m a whole week late with this post but good things come to those who wait right?! Also I was like a social butterfly last week, dancing from engagement to engagement – there were bridesmaid dresses to be bought, emigrations to be toasted and softball matches to be won which left precious little time for blogging. But enough of all that here’s my progress for days 6-8. Day 6 (Friday): I needed a new tube book for Friday and I chose Mr Mercedes by the incomparable Stephen King. I had made myself a promise to ration King’s books but with IT also sitting on my bookshelf it doesn’t look like that’s going to happen any time soon! Unfortunately, due to yet another social engagement, I was only able to do any reading on my morning commute so I only got through 43 pages on Friday. 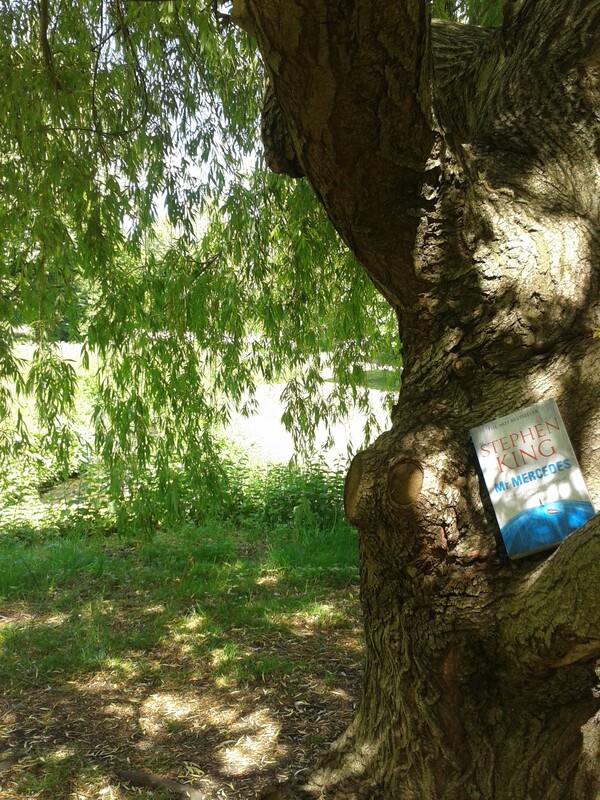 Day 7 (Saturday): Saturday was an absolutely glorious day so I took Mr Mercedes to a local park and lay on the grass in the bright sunshine to read about some dark goings on. I was there for several hours, got my first sunburn of the year (note to self, buy suncream) and COMPLETED Mr Mercedes (363 pages). It was different to any of King’s books that I’ve read before as there was no supernatural element at all, it was a straightforward detective novel but with King’s effortless storytelling and guy-next-door characters. On Saturday night my childhood dreams came true when I went to see S CLUB 7 at the O2 in London. It was like the biggest and bestest S Club karaoke you can imagine and I loved every second of it (but didn’t get any more reading done). 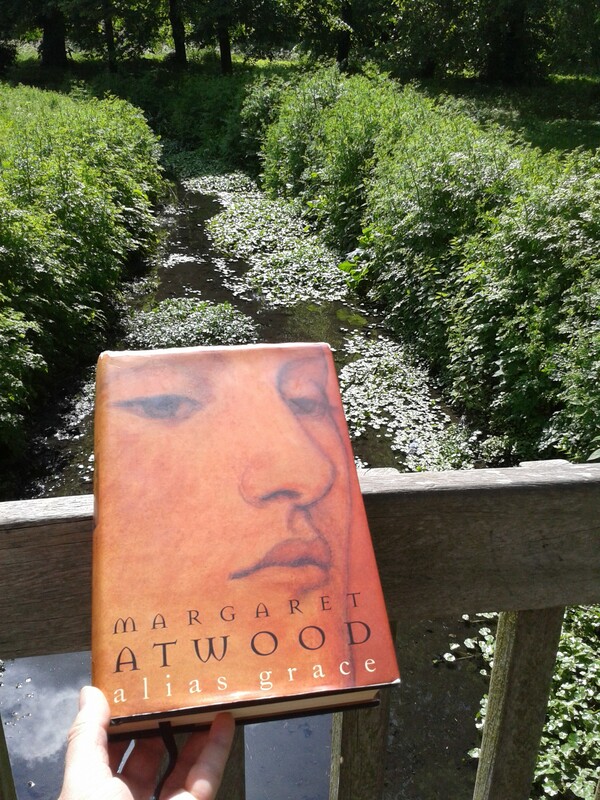 Day 8 (Sunday): Sunday was another beautiful day so I returned to my favourite local park this time with Alias Grace for company. Alas the warm sun on my back coupled with the excitement of the previous day and the fact that I’m still not really loving Grace meant that I didn’t get much further than 33 pages before I fell asleep! After that laziness won out and I was done with my very first read-a-thon. And so, while my main goal, which was to finish Alias Grace, goes uncompleted, I am significantly further along than I had been and there’s only 140 pages left to go. But not only that, I’ve found that I’m actually enjoying Grace much more than I had been which was one of the secondary goals of my read-a-thon. I said right back at the start that I don’t feel like I’ve really been enjoying reading lately and that I’ve been struggling to find something I can get my teeth into but I think that Bout of Books has helped me get over that for which I am incredibly grateful! This entry was posted in Bookish and tagged Alias Grace, books, Bout of Books, Mr Mercedes, read-a-thon, reading, Stephen King. Bookmark the permalink. Ahh, that day in the park sounds glorious! I had a similar one recently, the day after I finished all of my exams aka finished my degree (ahh!). I was lucky that it was a really nice day and spent all of it out in the garden reading a book and I hadn’t had the opportunity to sit and read like that in SUCH a long time. It felt good. That sounds like an excellent way to celebrate finishing, how nice of the weather to play ball for once!